Galax Fire was dispatched for a single vehicle accident with possible entrapment on Sunday, December 6, 2015, at 11:45am. 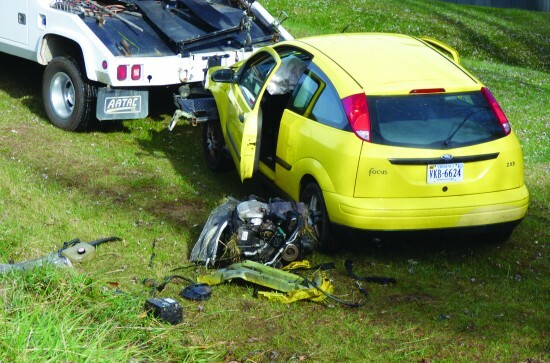 A 34 year old Galax man was very fortunate when he lost control of a yellow 2000 Ford Focus on South Main Street near the Kangaroo. 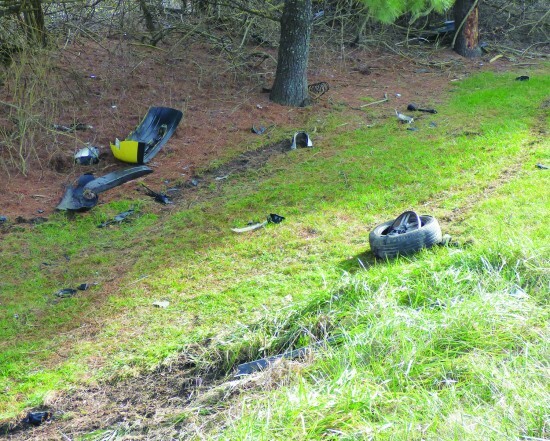 The vehicle struck some trees and went over a small embankment. The driver was not pinned in the vehicle. Fire department members assisted Galax/Grayson EMS with the removal and loading of the patient. He was transported to Twin County Regional Hospital. Galax Police are investigating the accident.